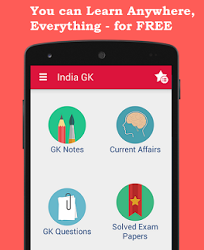 7, 8 September 2017 Current Affairs MCQs, Quiz, Questions: Current Affairs for September 2017, Daily Multiple Choice Questions (MCQs) for India GK, World GK and current affairs with Collection of daily objective type Question by www.Indiagk.net based on General Knowledge (GK) and General Science (GS) Questions for UPSC, State PSC, SSC, Police exam, Railway exam, SBI, Bank PO, IBPC, SSC, LDC, UDC, Army, Airforce, Navy, Coast Guard, Bank Clerk, TET and all entrance examination with current affairs News, Multiple Choice Questions (MCQs) available on Website www.IndiaGK.net and Android Apps with daily updates:. North East Calling will be held in which City on 9th-10th September 2017? Which Category 5 Hurricane destroys 90% of island of Barbuda in September 2017? Which state to get India's First Hyperloop transportation? EESL has launched which lighting scheme in Melaka, Malaysia? TADA court on 7th September sentenced Abu Salem to life imprisonment in which case? What is Theme of International Literacy Day 2017?